The parseFloat is used to get a floating value from a string. 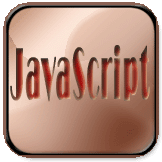 parseFloat is a top-level function and is not associated with any object. string: Required. A string that represents the value to test. The following example demonstrate how to use parseFloat() function. See the Pen parsefloat-function-1 by w3resource (@w3resource) on CodePen.